With the introduction of new Getresponse pricing structure, Getresponse provides different plans for greater business opportunities suitable for large as well as small companies. Getresponse has added different marketing automation features like tags, scoring, abandoned cart, web event tracking, automation segmentation, etc. to make their service real worthy for subscribing. In addition to email marketing service, Getresponse has come up with landing pages, webinars service, Salesforce integration, dedicated infrastructure and IP address with the max mail out performance features with the advance plans. Getresponse autoresponder comes with four scalable pricing options. We shall discuss in details all the four plans as follows. Email plan comes with only Getresponse email marketing service and one landing page which is suitable for beginners. 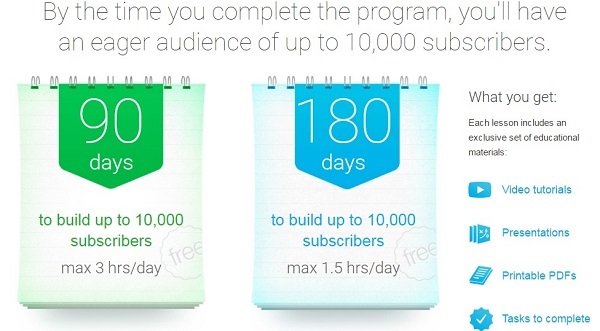 The pricing structure for different subscriber base is as follows. “Pro” plan is most popular plan out there. It comes with 3 multi-users and webinar service with maximum 100 attendees. The features like unlimited landing pages, unlimited visitors, A/B testing, abandoned cart are available in this plan which is not available in “Email” plan. You can see here the price difference between “Email” and “Pro” plan is very less. This plan is suitable for the users having a subscriber base of 5000 and more. Full details are available on the Getresponse Pricing page. In addition to the features available in “Pro” plan, the “Max” plan has additional features like Salesforce integration, custom domain, campaign consulting are available with 5 users to operate. You can also find webinar service features having 500 attendees with this plan. Being the most performance oriented plan, “Enterprise” solutions comes with additional features like rebranding, dedicate IP address with infrastructure, max mail out performance & deliverability consulting and more. “Enterprise” model which named as Getresponse 360 earlier is most suitable for a user having a subscriber base of 1K and above. 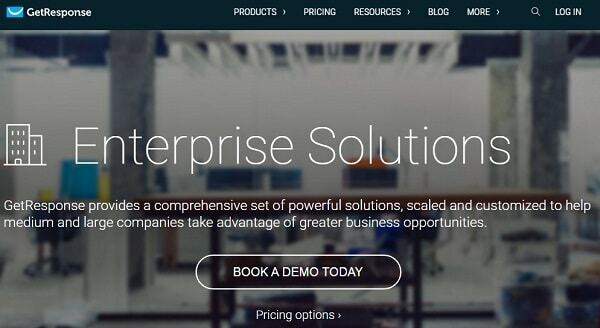 Full details are available on the Getresponse Pricing page. Custom solutions are available for users having more than 100,000 subscribers. You can place your order here. Besides the monthly plans, Getresponse offers 18% discount on pre-paid yearly pricing and 30% discount on pre-paid biannual pricing. Getresponse also offers a special 50% discount for non-profit organizations. Getresponse offers webinar service in addition to the email marketing service, in their Pro, Max, and Enterprise plans which are not available in case of Aweber. Looking into Getresponse email marketing pricing, it cost 15 US$ up to 1000 subscribers whereas Aweber cost 15 US$ up to 500 subscribers. As you go to the higher plans, you will also find Getresponse pricing cheaper than Aweber. 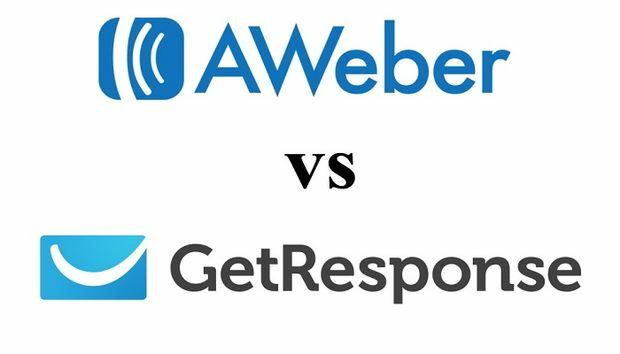 Both the companies have a good reputation in the field of email marketing service, still, Getresponse seems to be the winner between Aweber vs Getresponse. Mailchimp email marketing offers starts from 1,001 – 1,500 subscribers costing 20 US$. If we compare cost between Getresponse vs Mailchimp, Mailchimp cost 30 US$ for 2,000 – 2,500 subscribers whereas Getresponse cost 25 US$ which is cheaper. If you choose Getresponse “Pro” Plan up to 5000 subscribers, it cost 49 US$ which is 1 US$ less than Mailchimp. 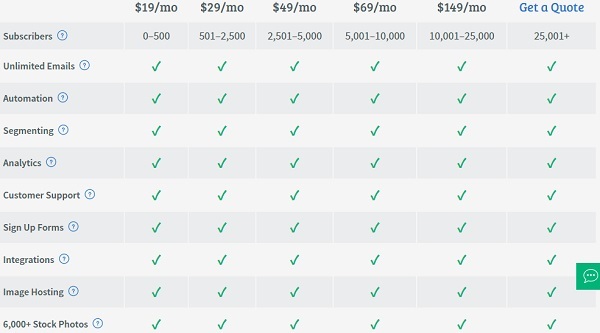 If we look at Mailchimp pros and cons, they do have a good trial plan but prices are higher in the case of paid plans. So if you plan to include Webinar service along with email marketing service in your marketing plan then Getresponse pricing for “Pro” and “Max” Plan is most suitable for you. Getresponse provides complete solutions for email marketing having great features, easy to use service and professional customer support at an affordable price. Hence you should try their service while choosing the online marketing automation of your business. Get a limited time promotion offer from Getresponse. 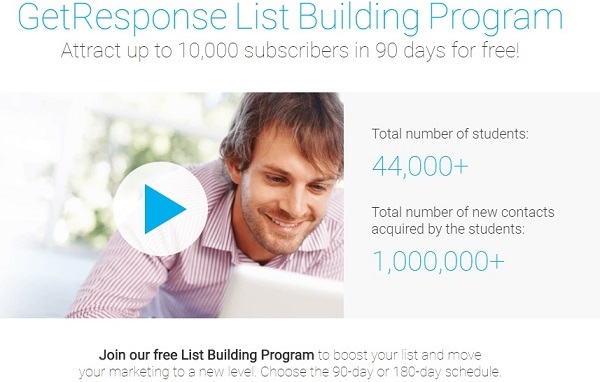 The Getresponse list building program one of its kinds of email list building course that covers comprehensively to grow your email list from 0 to 10,000 subscribers in a short span of 90 days. Now you can enroll for their free program and build an email list of your prospective customers. The course is of two schedules, one is of 90 days fast track program (3 hours a day) and other is of 180 days regular program (1.5 hours a day). Those are pre-occupied with other jobs may prefer to choose 180 days regular program. The Getresponse list building program content for both the schedules has the same content to cover. Email list building training is not all about only collecting email but to make a complete business platform. Prior to list building, you need to have your blog or website. It is not like that you cannot do email marketing without a blog or website. But to make your footprint in internet marketing, you need to create a blog or website. You also need to create your social media accounts with Facebook, Twitter, and other social media platforms. This course will guide you on the entire basic requirements and also how to move step by step from the scratch. If you are dedicating 3 hours a day towards list building program, you need to listen to 10 minutes tutorial video and then work for an hour or so. Likewise in the second session of the day, you also have to repeat the same process. As you know there are various methods to draw traffic to your website. Some of are from PPC, organic search traffic from search engines, social media traffic like Facebook, Twitter etc. All these are a really great source of traffic. But truth is that the traffic from these sources are not always stable and depend upon a lot of parameters. Chance is that you may sometimes lose traffic from these sources. But the backbone of any internet marketing business is email marketing. By the help of email marketing, you can start a solid foundation to your online venture. the email list is an asset and all the subscribers do have lifetime value. You can yield average 50 to 1,000 bucks per subscriber in their lifetime if done correctly. Hence, your income will grow proportionally to your increasing number of subscribers. Enrorl Now For Getresponse List Building Program Free! The details of email list building training program are available in the following video. The course materials consist of video tutorials, presentations in printable PDF format and lists of task to complete. After successfully completions of the program, the participants those have acquire at least minimum 1000 new subscribers shall be provided with Getresponse University Certificate of Performance from Getresponse University. The course is available to the Getresponse customers for both trail as well as paid account holders those have less than 10,000 subscribers at free of cost. We can truly say this is the best email list building course we ever went through. Those who are in the process of building an internet marketing business should enroll for Getresponse list building program without any delay. If you follow all the instructions by heart and put them in action, you will create minimum 1000 subscribers to 10,000 subscribers on day 61. Getresponse offer a competative price for their customers which is having real value for money. You can go through the detail Getresponse pricing review here. Wish you all the success in your list building journey. Start Getresponse 30 Days Free Trail Now! The Knowledge Business Blueprint is the first-ever course & software to teach people how to run a high Impact & high-profit mastermind groups. The Knowledge Business Blueprint program comes along with a one-year subscription to the “Mindmint Software”. 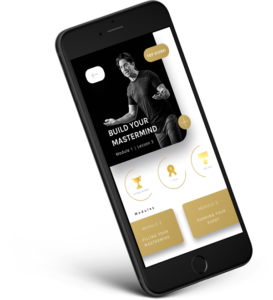 Mastermind.com is launching the first-ever “Gold Standard” course plus the software designed to teach anyone how to create fill, run & profit from high impact virtual or in person masterminds groups. Tony Robbins and Dean Graziosi will be doing a LIVE online training to teach you how to create profitable masterminds of your own or partner with someone to run it for you. Perfect Mastermind Formula is the first of its kind mastermind course which provides the most advanced training to start and run a mastermind group. The program offers the best mastermind group resources to run a mastermind group. The Perfect Mastermind Formula combined with the Mindmint Software will guide people through every step of creating and launching a successful and profitable mastermind. (Or, doing it for someone else and splitting the profits!). Here are some example of the mastermind groups you can create by following this program. For more mastermind group resources you can visit https://mastermindgroupresources.com. Who are Tony Robbins & Dean Graziosi? 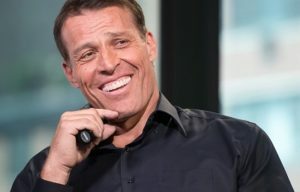 Tony Robbins is a well known American author & no. 1 business strategist of the United States. He is famous for his six internationally best selling books which include “Money Master the Game” & “Unshakeable”. He has empowered more than 50 million people from 100 countries through his personal development programs. Tony Robbins seminars are found to be life changing in the field of professional and personal development. Like Tony Robbin, Dean Graziosi is also a great educator in the field of self-education. 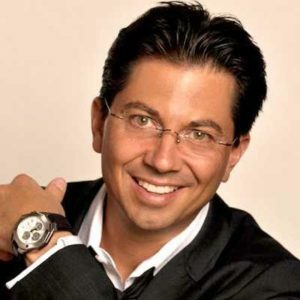 He is a world-renowned success coach and famous for his business-opportunities coaching programs called “Motor Millions” and “Think A Little Different”. His real estate program is another landmark in the field of real-estate business. Thousand of students benefitted from his live seminars, videos, and books. Dean Graziosi also accepts Tony Robbins as one of his mentors. Apart from these two Russell Brunson also joined the team to make this Mastermind course a memorable one. Personally filmed by Tony and Dean, this gold standard education walks people step by step through the process of creating and launching a high impact and profitable mastermind. Tony & Dean spent over $500,000 to build a world-class software that takes away all the complexity of launching and running a mastermind. Another member of the team is Russell Brunson (The founder of Clickfunnels) and his team is behind this awesome mastermind training program. The program comes with bonuses that Dean & Tony are giving for free with each enrollment. The details of the bonus are yet to be declared. The details will be declared some days before the launch i.e. April 2019. We shall publish the details on this page after the declaration of the same. Are you really interested to start and run a mastermind group and want to profit from it? Those who are doing workshops, group training can also multiply their profit by following the Perfect mastermind formula course and implementing Mindmint software into their program. So the course will not only motivate you, but this will provide you the right strategies and tools to create a real profitable mastermind group. The launch for the following course will be declared in the month of April. Aweber is often described by professionals and experts as one of the best email marketing service out there. Aweber has a rich set of features which makes it easier for businesses to create new relationships with prospective clients or even enhance existing relationships with current clients. When we look at Aweber pricing plan, it seems Aweber has made the pricing more justified with respect to the features they provide. Unless you have unlimited cash, pricing is obviously going to be an important deciding factor for you. If you are only sending a few thousand emails a month, pricing is not that important an issue, but if you are growing and expect to acquire a list where you will be sending millions of emails a month, pricing can become a concern. Aweber Communications provides different kinds of packages and offers for enterprises and for small businesses. It comes with a plethora of features like autoresponders, email creation tools, unlimited emails, sign up forms, simple automation. A free trial of Aweber is also available for those who are not yet sure. The price you will be paying will be based on the number of subscribers you are sending emails to. Up to 500 subscribers will cost you $19/month. For 501–2,500 Subscribers, you will be paying $29/month. $49/month will enable you to contact 2,501-5,000 subscribers. $69/month will enable you to contact 5,001-10,000 subscribers. 25,001 Subscribers or above, you can get a direct quote here. Getresponse offers you 1000 subscribers for 15$ per month, 2500 subscribers for 25 $ per month, 5000 subscribers for 45 $ per month, 10000 subscribers for 65 $ per month, 25000 subscribers for 145 $ per month, 50,000 subscribers for 250 $ a month and 100,000 subscribers for 450 $ per month. Both Aweber and Getresponse have almost the same pricing structure if you closely analyze their pricing. You can get a lot of subscribers before you actually have to jump in heavily on the cost. But when it comes down to it, Getresponse pricing is lesser between Aweber vs. Getresponse. Aweber offers unlimited image hosting where Getresponse offers up to 1GB storage and you have to upgrade for additional storage. When using MailChimp, for 1500 subscribers you pay $20 per month, for 2,000 subscribers you pay $25 per month, for 10,000 subscribers you end up paying 75 $ a month, $150 for 20000 subscribers, $215 a month for 30000 subscribers, for 40,000 subscribers $240 a month and for 50,000 subscribers you pay $240 per month. 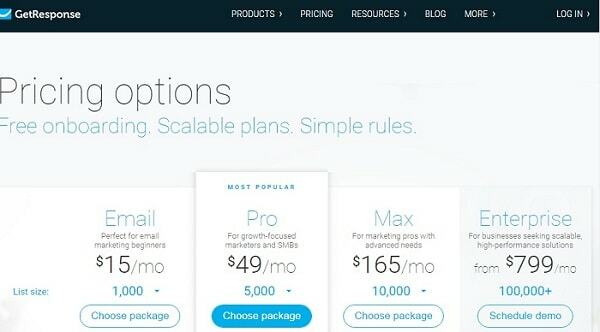 MailChimp pricing structure works in little increments and offers more in between payment options so there is more, you pay for what you want style pricing. Most people opt for Mailchimp seeing that it has a free version available, but that is not very viable because it lacks a very important feature, the autoresponders. So with each month, you find yourself adding more money while upgrading to get the basic or advanced autoresponders service, while Aweber can provide you those features without the additional payment. So Aweber pricing looks more competitive than Mailchimp. Choose GetResponse Instead, Which Looks More Promising Now.